tool that caters to users who frequently work with text documents, giving them the possibility to seamlessly find and replace text across multiple files at the same time. A simple and intuitive interface split into two areas: files list and typical search & replace boxes where you just enter your keywords. It finds and replaces text strings across multiple documents. It supports drag and drop files. It is tiny and dead simple. 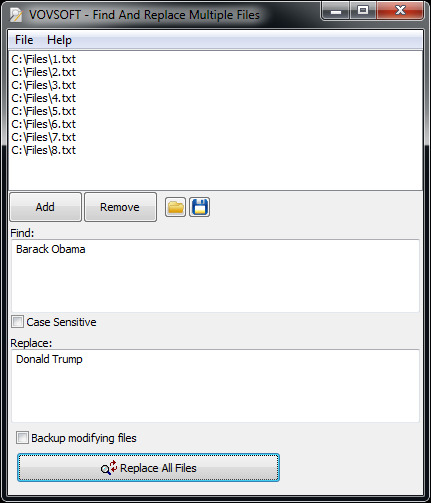 You can also back up changed files. Requires administrator privileges in order to handle any file.